Drabek, K., Gutiérrez, L., Vermeij, M., Clapes, T., Patel, S.R., Boisset, J.C., van Haren, J., Pereira, A.L., Liu, Z., Akinci, U., Nikolic, T., van Ijcken, W., van den Hout, M., Meinders, M., Melo, C., Sambade, C., Drabek, D., Hendriks, R.W., Philipsen, S., Mommaas, M., Grosveld, F., Maiato, H., Italiano, J.E. Jr., Robin, C., Galjart, N. (2012) The microtubule plus-end tracking protein CLASP2 is required for hematopoiesis and hematopoietic stem cell maintenance. Cell Report 2: 781-788. Boisset, J.C., Andrieu-Soler, C., van Cappellen, W., Clapes, T., Robin, C. (2011) Ex vivo time-lapse confocal imaging of the mouse embryo aorta. Nature Protocols 6: 1792-1805. Boisset, J.C., van Cappellen, W., Andrieu-Soler, C., Galjart, N., Dzierzak, E., Robin, C. (2010) In vivo imaging of haematopoietic cells emerging from the mouse aortic endothelium. Nature 464: 116-120. Robin, C.*, Bollerot, K.*, Mendes, S.*, Haak, E., Crisan, M., Cerisoli, F., Lauw, I., Kaimakis, P., Jorna, R., Vermeulen, M., Kayser, M., van der Linden, R., Imanirad, P., Verstegen, M., Nawaz-Yousaf, M., Papazian, N., Steegers, E., Cupedo, T., Dzierzak, E. (2009) Human placenta is a potent hematopoietic niche containing hematopoietic stem and progenitor cells throughout development. Cell Stem Cell 5: 385-395. Robin, C., Ottersbach, K., Durand, C., Peeters, M., Vanes, L., Tybulewicz, V., Dzierzak, E. (2006) An unexpected role for IL-3 in the embryonic development of hematopoietic stem cells. Dev. Cell 11: 171-180.
de Bruijn, M.F. *, Ma, X. *, Robin, C.*, Ottersbach, K., Sanchez, M.J., Dzierzak, E. (2002) Hematopoietic stem cells localize to the endothelial cell layer in the midgestation mouse aorta. Immunity 16: 673-683. 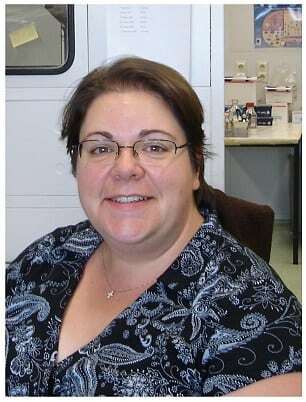 Her work on the visualization of hematopoietic stem cell formation in the mouse embryonic aorta was recognized as a major breakthrough discovery in 2010 and was broadcasted on TV and by several national and international newspapers. Images and movies generated in her lab were also exposed at the Museum Boymans van Beuningen in Rotterdam and at the MOTI museum in Breda (The Netherlands).